Meredith is an active member of the San Diego Triathlon Club competing in various races throughout the year. She has a passion for helping others realize and exceed their personal fitness goals, and believes there is an athlete in everyone. She holds a B.S. degree in Health and Sport Sciences from the University of Oklahoma, is an ACE certified personal trainer, BBU Certified Pilates instructor, as well as certifications in Spinning, CPR, and First Aid. 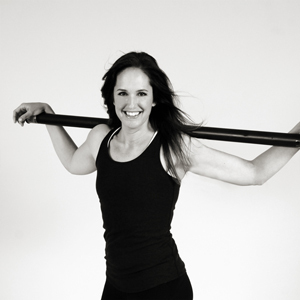 At Studio SWEAT Meredith is a well respected Personal Trainer, Triathlon Training Coach, she heads up the Half-Marathon Training program and, of course, tears it up as a Spin and Strength Training instructor. I love to workout with people who love to work hard! In a class setting we feed off each other’s energy. When everyone contributes their very best effort, regardless of fitness level, it brings everyone’s game up a notch and makes for a killer workout. Bring all you’ve got every time! Cat gave me my nickname as “Coach Mere” years ago. Seems pretty fitting. I expect a lot from those that I train with. I’m here to help people become stronger, fitter and healthier and I’ll push them to their limits to help them achieve these goals.